I tried for a REALLY long time to like baba ghanoush. In theory it always sounded good: yummy roasted eggplant mashed with garlic and spices — what’s not to love? I’d dip and I’d dabble here and there but never bought into all the hoopla. Until last night! Here’s the recipe that has me (and my adventuresome one year-old) totally and utterly hooked – or should I say dipped? Preheat oven to 400 F. Using a fork, poke a few holes into the eggplant then place it on a parchment-lined baking sheet. Next, place the garlic cloves in a square of foil and drizzle with olive oil. Seal the foil up tightly and place it on the baking sheet too. Pop everything into the oven. Check on the garlic after 25-30 minutes. It should be soft, fragrant and cooked all the way through; if so, remove it from the oven and set aside. Flip the eggplant and bake it for 20 minutes longer (total time about 45-50 minutes) or until the skin is blistered and the flesh is super soft. Allow the eggplant to cool slightly then peel back the skin and scoop out the flesh; discard the skin and place the flesh into the bowl of a large food processor. Add the roasted garlic and its cooking oil, along with all the remaining ingredients. Process until smooth and creamy. Serve at room temperature. My carb-loving daughter tossed the pita and crackers aside to devour 2 bowls of baba ghanoush by the handful. I was right with her. An excellent snack with pita, crackers, or cucumber, you can also use this as a fun dip to jazz up any main. Serve it with felafel or tofu fingers and your favorite veggie. The sesame paste (tahini) and seeds are a source of iron, calcium protein and fiber. 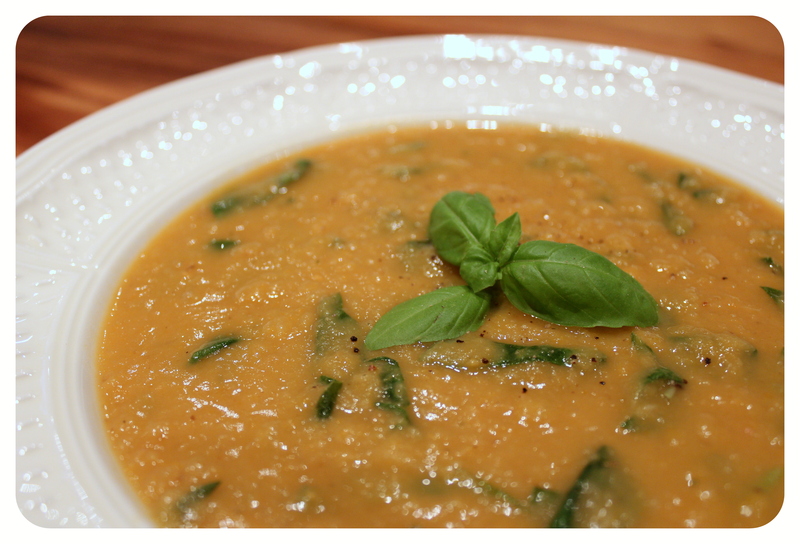 Shake off the cold with this heartwarming bowl o’ soup. Creamy white beans and a medley of oven roasted veggies make this dish oh-so-inviting while spinach and sweet basil add a touch of freshness. Yum! Paigelet approved – licked the bowl clean, twice. Preheat the oven to 425 F. While oven is heating, prepare veggies for roasting. Toss butternut squash, sweet potato, carrots, apple and garlic in 1 tablespoon olive oil. Season with salt and pepper then spread into a single layer on 1-2 baking sheets. Place in the oven and bake 30 minutes, tossing veggies half way through. While veggies are roasting, saute onion in remaining tablespoon of olive oil until soft and translucent, about 8 minutes. Add veggie stock, beans and roasted veggies once they’re done. Bring to a boil then reduce to a simmer; let simmer 15-20 minutes so that the flavours can meld. Turn off the stove top and use an immersion blender to cream the soup. While soup is still piping hot, stir in the chopped spinach and basil. Allow to cool slightly then season with salt and pepper and serve. The ingredients list for this soup is simple and the flavours delicate; in fact, it’s even more delicious the second or third day. You can up the flavour ante by adding cauliflower and turnip to your assortment of roasted veggies. If I had those guys on hand, I so would have! Just be sure to add a bit more veggie stock to smooth things out; 1/2 cup oughta do it. As is, this soup is mighty nutritious. Navy beans are high in fiber, iron, folate and thiamine. Spinach providea ample vitamins A and C while also contributing to your iron and folate intake. Let’s not forget orange colored powerhouses like butternut squash, sweet potato and carrots! They also have you covered for vitamins A, C and B-6. To complete this meal, serve with your favorite wholegrain bread, pita or pasta. This soup freezes exceptionally well – with or without the greens. I’m obsessed with these muffins! 1) they contain pumpkin and 2) they contain maple. 3) they’re miniature – making them the perfect size for babies and toddlers. Actually, they’re the perfect size for us big kids too; two delicious bites and they’re gone. This recipe took 3 tries to get right and the original inspiration comes from Martha Stewart. You can check it out here. 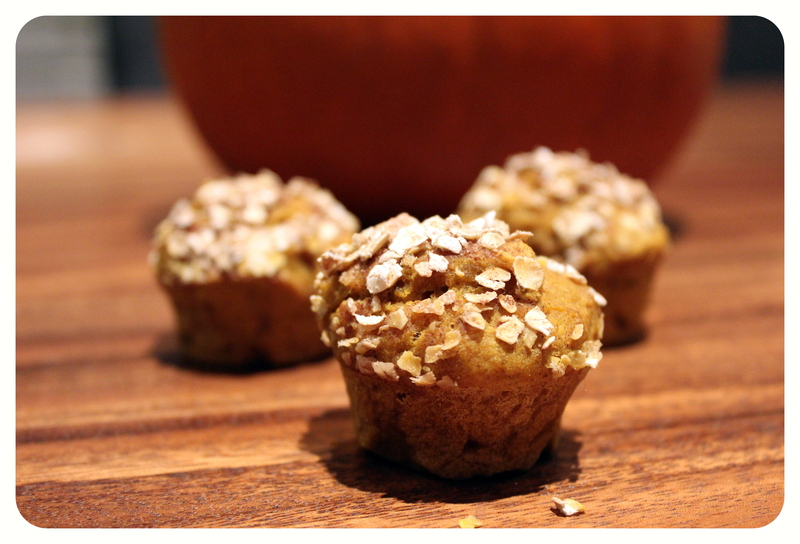 In a small bowl, make your muffin topping by stirring together oats, 1/2 teaspoon cinnamon and 2 teaspoons maple sugar. Set aside. In a large mixing bowl, stir together the flour, spices, salt, baking powder and baking soda. In another large bowl, using an electric mixer or by hand, beat coconut oil and maple sugar until creamy. beat in the eggs followed by the pumpkin and milk. Spoon into muffin pans, filling 3/4 of the way full. Sprinkle with muffin topping and pop in the oven. 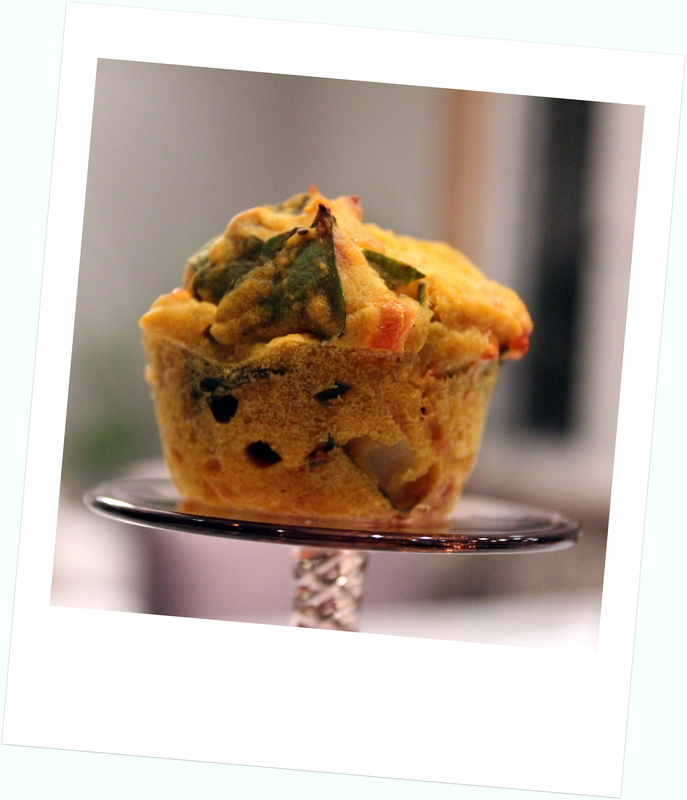 Bake 15-18 minutes or until a toothpick inserted into one of the muffins comes out clean. Remove pans from oven and transfer muffins to wire rack to cool completely. Once cooled and we’ve all had our fill of mini muffins, I like to pop these guys in the freezer and defrost a couple as needed. They freeze exceptionally well making them a great breakfast and snack food for busy days. I often serve them topped with gingery apple butter or a thin spread of almond butter. Omelettes and scrambled eggs are a weeknight go-to for many busy parents, ourselves included. But you can only eat so many eggs before you feel kinda egged out. 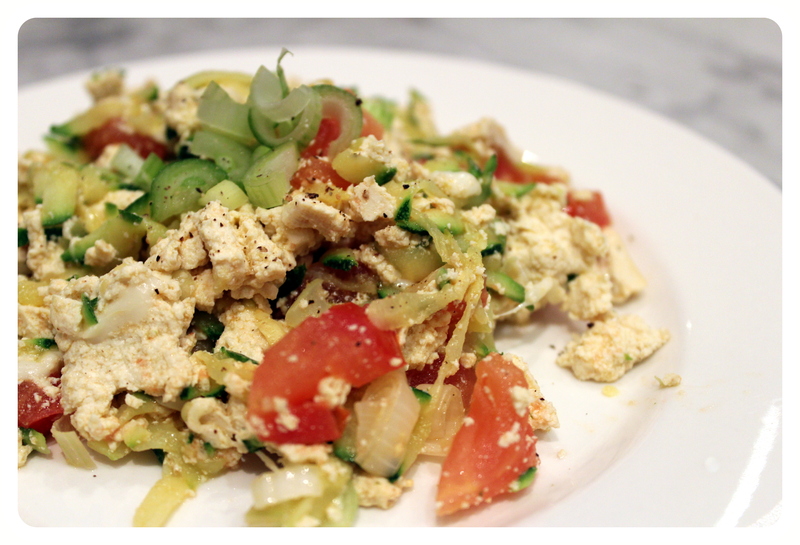 Introducing the tofu scramble! A staple in many vegetarian and vegan households, it’s worth a shot if you’re tired of the same old. Plus it’s speedy quick – maybe moreso than its egg counterpart. In a large skillet, heat olive oil over medium heat. Add the onions, zucchini and diced tomato – saute about 3-5 minutes. While the veggies are sauteing, use the back of a fork to crumble the brick of tofu. Add the tofu along with a sprinkling of nutritional yeast to the skillet and throw in the mozzarella. Give everything a stir and cook for another 3-5 minutes or until cheese is melted and the tofu is heated through. Garnish with pepper and salt (if using) and serve with your favorite wholegrain bread or pasta. I sometimes make this scramble with cheese and other times without. Both ways are delicious but for tofu scramble newbies, the cheese does hold everything together a bit better. Firm tofu is high in protein, calcium and iron (depending on the brand). Both the tomatoes and the zucchini contribute to your daily vitamin C intake plus you’ll also get some healthy vitamin A.
I love Donna Hay’s No Time to Cook cookbook. True to it’s name, it has tons of simple dinner ideas that are deceptively delicious. The majority of her recipes incorporate meat, fish or seafood but they’re easily adaptable to vegetarian cuisine. Her Baked Pumpkin and Pancetta Risotto is a favorite in our house. Only hold the pancetta, please. 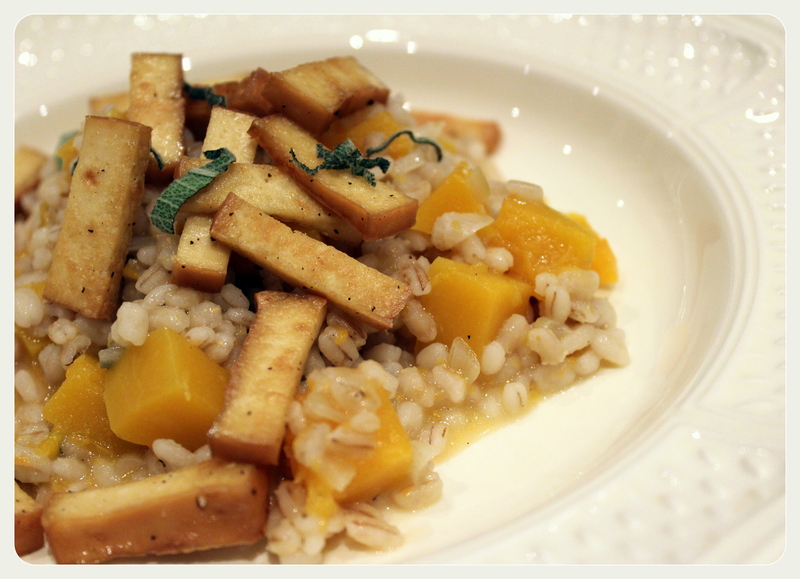 Here’s my take on this simple dish which uses barley instead of rice and smoked tofu in place of pancetta. Feeds 2 adults and 1 baby. For big appetites, double this recipe and enjoy leftovers for lunch the following day. Preheat oven to 375 F. Meanwhile, pour 1 tablespoon olive oil in a skillet and place over medium heat – saute the shallots until soft and translucent. Stir in the dry barley and toast a couple of minutes until fragrant. Place barley and shallot mixture, squash, sage leaves and veggie stock into a baking dish. Cover tightly with foil and bake 50 minutes — until the barley is cooked and slightly al dente. With 5 minutes left of baking time, heat remaining 1 tablespoon of olive oil in your skillet. Add the smoked tofu matchsticks and a generous amount of fresh black pepper – lightly fry until the tofu pieces are golden and crispy. Remove from heat and set aside. Remove risotto from the oven and stir in the grated parmesan – add pepper to taste and continue stirring until the risotto thickens and remaining liquid is absorbed. Serve topped with tofu slivers. When my husband and I are feeling fancy, we drizzle our portions with a few drops truffle oil. I love barley for so many reasons, not the least of which is it’s nutrition content. High in protein, fiber, iron, potassium and vitamin B-6, it’s one wholesome grain. Butternut squash is packed with vitamins A and C and the tofu in this dish will complete your protein load plus up your iron intake. In other words, this is one mighty meal. 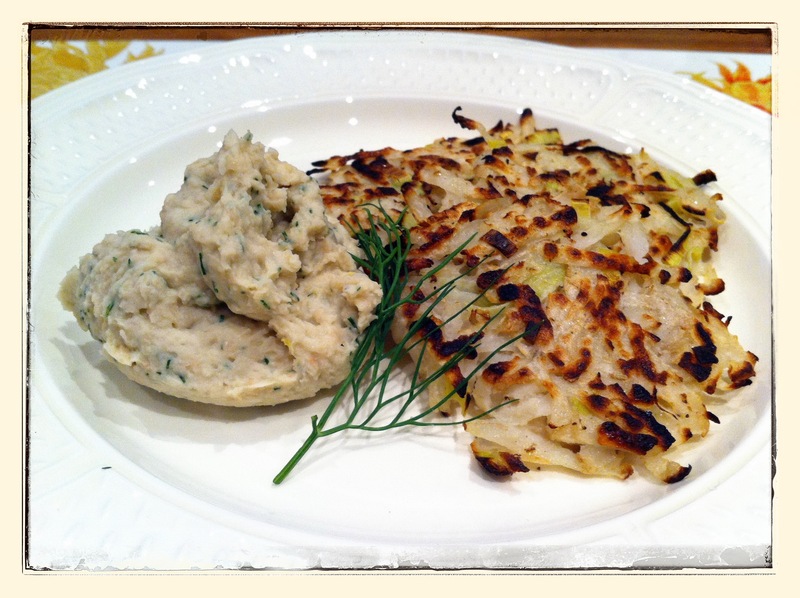 Potato pancakes were a favorite of mine growing up. My Oma (Grandma) would make them from scratch, served with great dollops of sour cream. Mmmmmm… To this day, latkes are one of the few ways I actually enjoy eating potatoes. 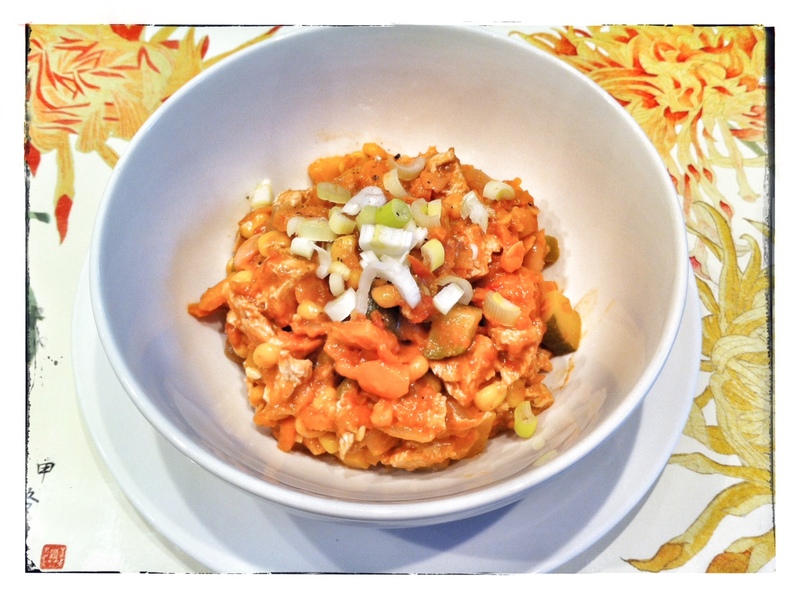 Without further ado, here’s my oma’s old-country recipe with a few baby-friendly adaptations. Shred your potatoes and apples into a colander. Place the colander in the sink and allow excess liquid to drain. Meanwhile, place all bean dip ingredients into a food processor and process until smooth and creamy. Set aside. Heat a large non-stick skillet over medium-high heat. Choose one that has a lid. Next, firmly press shredded potato and apple into the bottom of the colander to drain excess liquid. Transfer to a large mixing bowl then add leeks and toss with 2 tablespoons flour, cracked pepper and salt (if using). Mix in the beaten egg and add an extra tablespoon of flour if your mixture is too wet. Form potato mixture into 5-6 small pancakes at a time and place in skillet. Cover pan and cook 3-4 minutes each side, or until outsides are slightly browned and crispy. 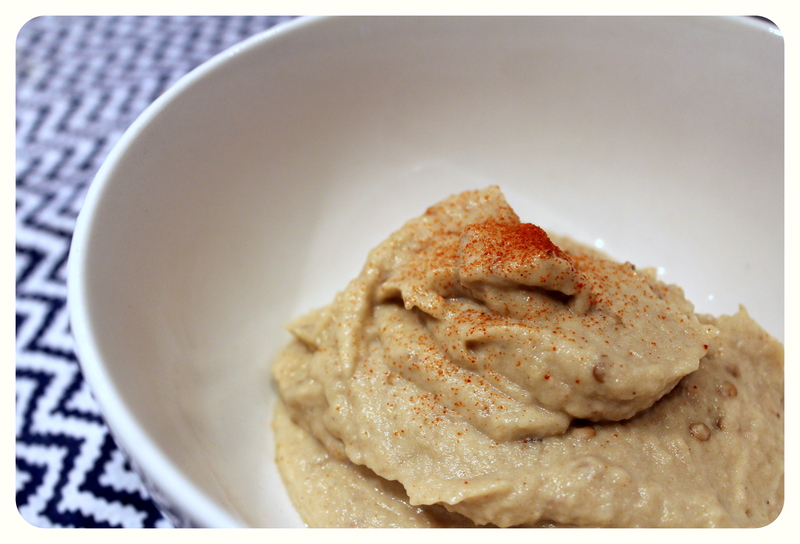 Serve nice and warm with plenty of white bean dip. Yum. Paige devoured these. Okay, so did my husband and I. In a perfect world I would have served these with roasted fall veggies but I didn’t have time to fire up the oven so steamed broccoli it was. In all this meal took 30 minutes to throw together; it was delicious, nutritious and easy. This meal, served with broccoli as we had it, contains iron with tons of vitamin C to help with it’s absorption. It’s also a good source of dietary fiber and protein plus you’ll get some healthy B vitamins. This cozy meal is perfect for cool fall days. Fresh carrots, parsnips and squash add a warm sweetness to the dish while heaps of cumin, coriander and smoked paprika keep things savory. It’s a new family favorite that I even served to a friend for lunch today. 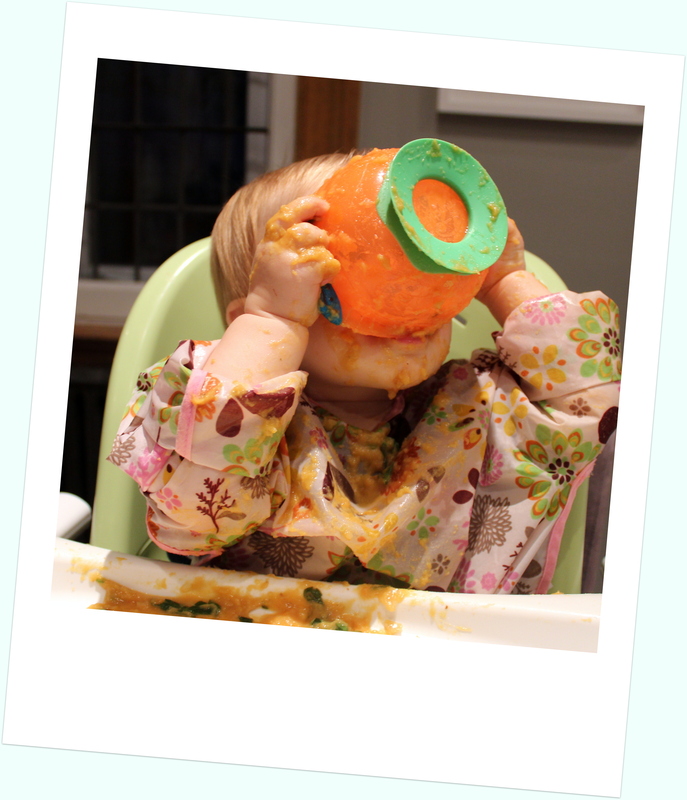 Proof that baby food doesn’t have to be bland! In a large dutch oven, heat olive oil over medium heat. Saute onion and carrots until both begin to soften and the onions are translucent. Add garlic and spices (cumin, coriander, paprika, nutritional yeast) then saute for another 2 minutes. Add your veggies: parsnips, squash, peppers, jalapeno, zucchini and saute a few more minutes. Next, add your diced tomatoes and their reserved juice plus the beans. Cover the pot and bring to a simmer. Cook on medium-low heat until veggies are just soft enough for your little one to safely eat – in my case that was about 30 minutes. This chili is a meal in itself but it’s delicious served with toasted flour or corn tortillas or a slice of crusty bread. 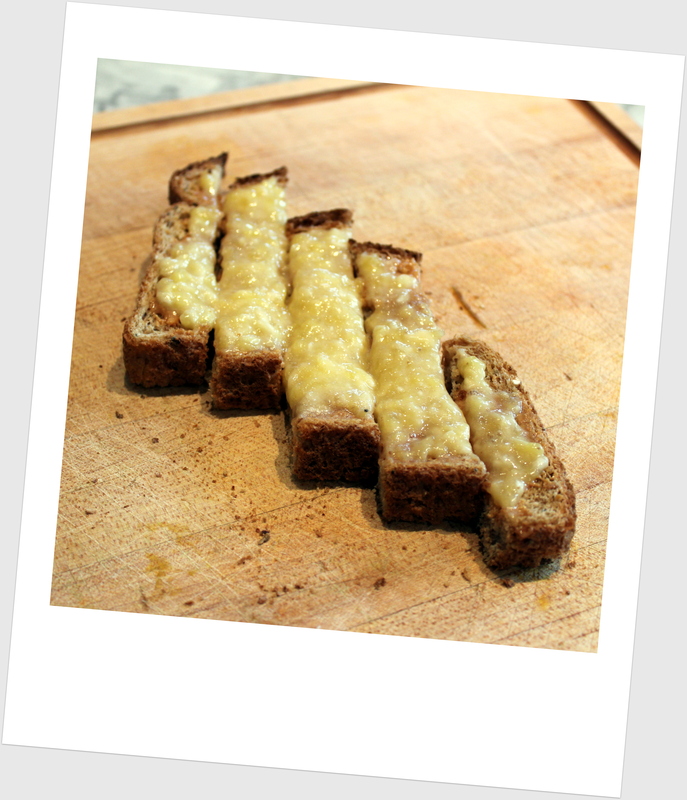 You can also top it with grated sharp cheddar if you’re keen on dairy. Nutritionally speaking, it has your bases covered. This dish is high in vitamin A, vitamin C, iron and fiber. If you’re using a fortified nutritional yeast, you’ll also get some healthy B-12 vitamins. There’s a cafe near my place (Mate Latte) that makes a decadent spinach, ricotta and sweet potato pie. Theirs is baked in a rich, buttery crust, which I love, but I wanted something a little more baby-friendly. Tiny tummies can fill up quickly on empty calories so I ditched the pastry and incorporated their 3 key ingredients into a veggie ‘shepherdless’ pie. Steam sweet potato rounds until they pierce easily with a fork and the skins start to separate slightly. Let cool then slip skins off. Conserve water from steaming. While sweet potato is steaming, heat olive oil over medium heat and sauté the leeks until soft and translucent. add the chopped spinach and season with nutmeg and fresh cracked pepper to taste. Cook until the spinach has wilted then set aside. In a medium mixing bowl, combine the ricotta and fresh thyme then set aside. 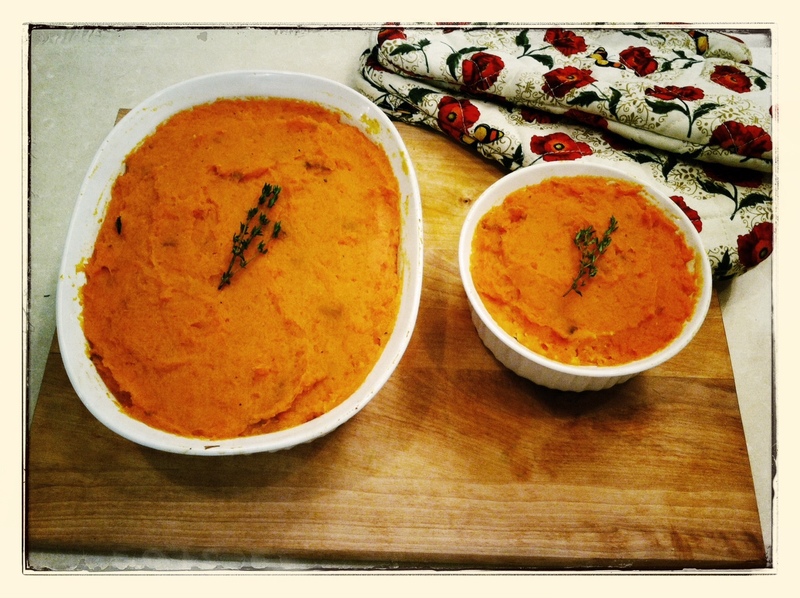 In a large bowl or pot, use a potato masher to mash the sweet potato until smooth. Add the butter, if using, and a few tablespoons of the reserved potato water to help smooth things out. Season with fresh cracked pepper and set aside. 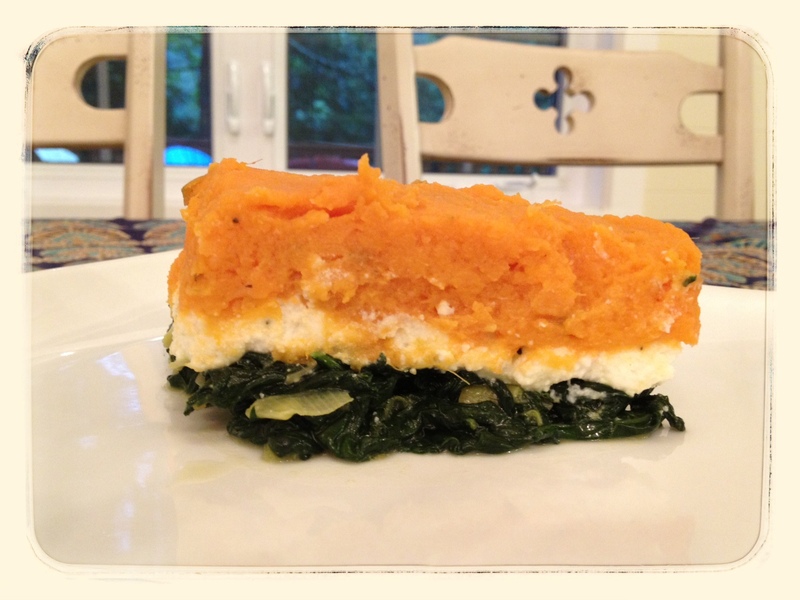 In a baking dish, layer the spinach mixture, followed by the ricotta and finally the sweet potato mash. Bake in the oven for 15 minutes, then set the oven to broil for 2 minutes to lightly brown the top. Remove from oven and let stand for 10 minutes before serving. This is a fun meal to make that’s colourful and tasty. It yields a lot of food so our small family of three got to enjoy it one day for dinner and the next day for lunch. It’s good for you too. This dish is an excellent source of vitamin A, vitamin C, folate and iron. It’s also high in protein and fiber plus it’s a source of calcium. It’s Monday morning and you need to make breakfast, stat! Forget recipes, you need a parent hack. For baby, scrape a thin layer of nut butter onto 1 slice of toast and top with banana mash. Cut into fingers and serve. You need to eat too. Slather the second slice with nut butter and top with remaining banana. Chow down. Baby will love this because it’s tasty and fun to pick up with little fingers. You’ll love it because it’ll leave both of you feeling full for longer than Cheerios. Nutritionally, it’s a great morning choice; it’s packed with protein and fiber and also contributes to your daily iron needs. Boom.